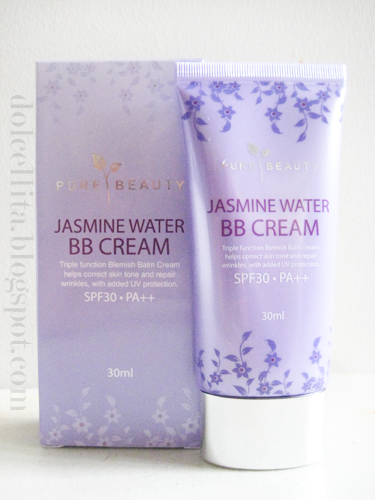 As a big fan of BB creams in general, and who isn't, I decided to give Pure Beauty's Jasmine Water BB Cream a try. I initially stumbled upon this product months ago, but only now decided to give it a try since I'm on a lookout for a more budget-friendly bb that does the job! So what does the product claim? 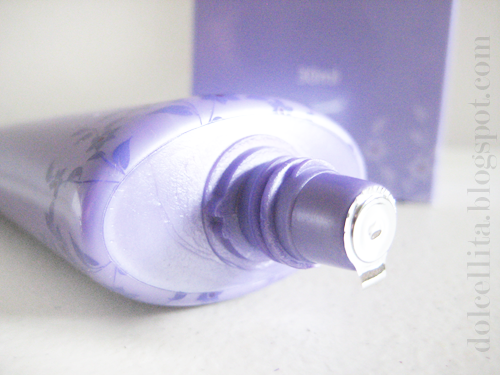 Jasmine Water BB Cream provides intensive moisture to skin with the help of fragrant jasmine water. It is also an excellent cover cream to make your skin look more radiant and healthy with a natural glow. A 7-in-1 formula that will give you a natural, fair and radiant look you won’t believe. This lush, lightly scented cream harnesses the advanced moisturising power of Jasmine Water and other active ingredients to keep your skin fully hydrated while it gets to work bringing back your radiance and natural glow. It also contains arbutin, which whitens and actively combats the formation of dark spots, and adenosine that smoothes wrinkles until they disappear. It comes in a very elegant looking 30ML squeeze-type bottle and is well-sealed so you know if it has or hasn't been tampered with. Semi-blended onto my hand. 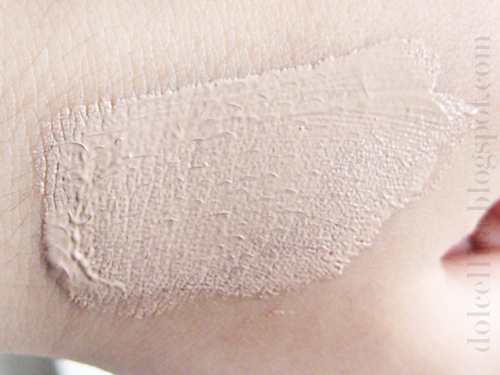 I love the texture of this bb cream because it spreads really smoothly and easily and I find the consistency to be just right (not too thick or heavy nor too light). Bare face right after waking up! Haha. This is just to show you what I try to conceal on my face daily with both concealer and bb creams or foundations. I have slight blemishes (zits mostly), somewhat uneven skin tone (look at how dark it is around my eyes! yikes), and medium to large pores. 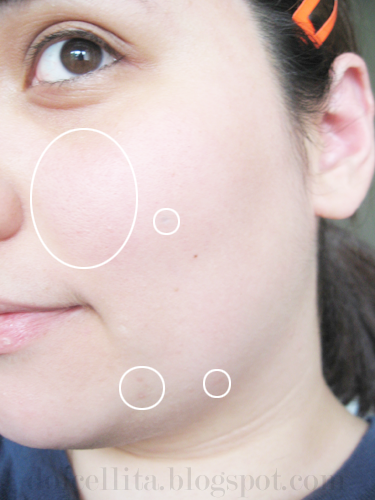 After applying concealer (around my eyes and my blemishes) and the Jasmine Water BB cream. Though it looked darker on my hand, somehow on my face it doesn't seem as dark and looks a lot more natural. 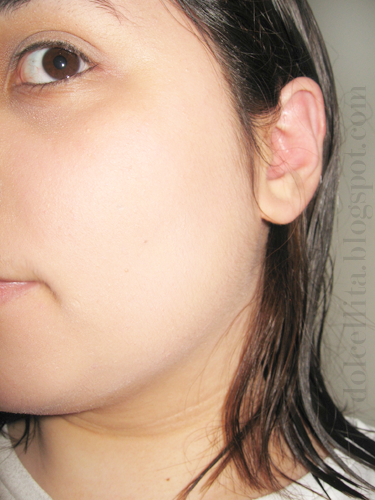 I'd still suggest blending this down past your jawline a little though if you have the same or a similar skin tone to mine, just because the color is still a little 'off' and you can see the slight color difference between my neck and my jawline. Taken indoors with flash. Since this product has an SPF of 30, I was expecting a slight whitish cast from it. Also, the color difference between my jaw and neck is more obvious now hence the need to really blend it downwards well or else risk looking like a floating face in pictures! Alternatively, you can set the cream with colored and more natural looking loose or pressed powder and see if it balances out the white cast. I just used translucent pressed powder here. Buildable? : I'd say it's quite buildable, but you could risk looking cakey if you layer on too much. Oil control: Quite good. 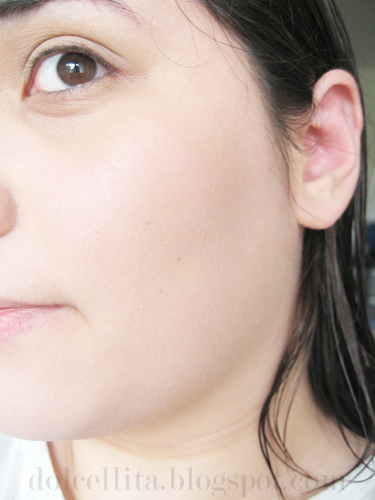 I have combination skin with an oily t-zone and I started to shine after about three hours, but not too much. Only a little blotting was needed! SPF? : Yes, 30PA++ which is more than enough for decent sun protection. Best for: Those with drier skin since this is supposed to be moisturizing/hydrating. But it didn't seem to make me oilier throughout the day, so I feel this would be just as good for those with combination skin too to take care of your dry areas. thanks for sharing! been thinking if i should get this or not. i'd prolly skip it since i have oily skin. If you skin is oily overall, then yes, I'd recommend a bb cream with a more matte finish or just one more suited for your skin type. :) Even if I have combination skin, I still prefer to look shiny than super dry because at least I can blot away and touch up with powder. Wow it looks good :) MUST TRY def. I'm a new follower here :) would you like to follow each other? You're welcome! Yeah, I asked at SM Makati if they had a tester but they didn't either, so I just decided to buy it anyway because I've been reading pretty good reviews about it on other blogs. Definitely not bad for php299 too! I've worn it the whole day so far, and I got a little sweaty and everything, but it managed to mostly last the whole day. I think it faded a little, but not noticeably so which is good!